IndigoVision has been awarded its largest ever US contract to supply an integrated IP Video system for the new casino complex at the Mardi Gras Racetrack and Gaming Centre, Hollywood, Florida. This IndigoVision solution is being deployed in full compliance with Florida Gaming Board regulations. IndigoVision’s IP video technology was chosen, following evaluation of several digital video solutions. Redundancy and reliability of the system was an important factor in choosing IndigoVision. Gaming Board regulations dictate that the casino can only use a gaming table or slot machine if video is being recorded; therefore any downtime would have immediate commercial implications. The key factor for IndigoVision was the performance guarantee that all video would be DVD-quality, 4SIF, 30 fps and that no frames would be dropped. This was a fundamental requirement of the Gaming Board and the casino operator. Any dropped frames within a video clip could hide fraudulent or criminal activity and make any customer disputes more difficult to resolve. The system will consist of over 550 cameras controlled by Control Center, IndigoVision’s enterprise video and alarm management software. Control Center provides control, administration and viewing of the live camera feeds and recorded video over the IP network. Video recording will be achieved with eight server-based networked video recorders (NVRs), with over 70 TB of storage. Security-as-a-service seems like a good idea to reduce technology and labour expenses. Hi-Tech Security Solutions find out more. 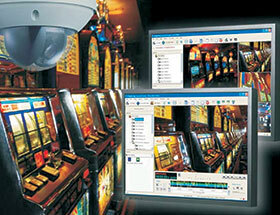 Video surveillance plays a larger role in the casino market than simply watching people gambling and trying to catch pickpockets. The best is just good enough: Hamburg's new luxury hotel The Fontenay relies on video security technology from Dallmeier. With the help of the Longse Starlight cameras, darkness becomes visible and your properties can always be kept under control. Cathexis Technologies successfully concluded its national CathexisVision Roadshow. With events held in Durban, Port Elizabeth, Johannesburg and Cape Town. After announcing the launch of its franchise business opportunity last year (https://www.securitysa.com/61103n), Cam Era has announced the signing of its first franchisee. Control room operators often have a responsibility to monitor response scenes that go beyond the initial detection and response relationship. How can we prepare for our holidays and avoid becoming the victim of a scam or data breach? Winston Sumner, ASIS SA committee member, says integration is essential for successful security operations in the gambling and entertainment markets.